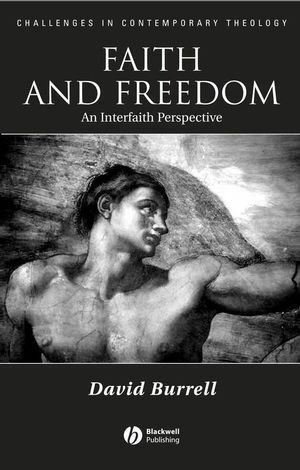 In this book, David Burrell, one of the foremost philosophical theologians in the English-speaking world, presents the best of his work on creation and human freedom. A collection of writings by one of the foremost philosophers of religion in the English-speaking world. Brings together in one volume the best of David Burrell’s work on creation and human freedom from the last twenty years. Dismantles the ‘libertarian’ approach to freedom underlying Western political and economic systems. Engages with Islam, Judaism and Christianity, and with modern and pre-modern systems of thought. The author is noted for his rigorous approach, his wry humor, his intellectual subtlety and his generous spirit. David Burrell is Hesburgh Professor of Philosophy and Theology at Notre Dame University. His previous books include Knowing the Unknowable God: Ibn-Sina, Maimonides, Aquinas (1986), Freedom and Creation in Three Traditions (1993), and two translations of Al-Ghazali. 1. Distinguishing God from the World. 2. The Unknowability of God in al-Ghazali. 3. Why not Pursue the Metaphor of Artisan and View God's Knowledge as Practical?. 4. Maimonides, Aquinas and Gersonides on Providence and Evil. 5. Aquinas' Debt to Maimonides. 6. Creation and `Actualism': The Dialectical Dimension of Philosophical Theology. 7. Aquinas and Scotus: Contrary Patterns for Philosophical Theology. 8. From Analogy of 'Being' to the Analogy of Being. Part II: Divine Freedom and Human Freedom:. 9. The Challenge to Medieval Christian Philosophy: Relating Creator to Creatures. 10. Freedom and Creation in the Abrahamic Traditions. 11. Al-Ghazali on Created Freedom. 12. Creation, Will and Knowledge in Aquinas and Duns Scotus. 13. God, Religious Pluralism, and Dialogic Encounter. 14. The Christian Distinction Celebrated and Expanded. 15. Incarnation and Creation: The Hidden Dimension. 16. Assessing Statements of Faith: Augustine and Etty Hillesum. "Collected essays can be problematic creatures. The fruit of years of patient reflection often turns out to lack any real coherence or focus. With the work of David Burrell any such fears quickly turn out to be ill-founded... Those who know and value his work will be grateful to the editor of this series for bringing togther in one volume a number of articles previously published in professional journals. Those new to it now have a useful if intellctually demanding commentary on this fascinating world." "Pervading this book is precisely that spirit of wonder and intellectual delight which touches all Burrell's work - and the man himself"
"This book will appeal to students with an interest in cosmology, the relationship between faith and reason, the nature of human freedom and areas of common ground or near common ground among scholarsof the three Abrahamic traditions."